Single phase UPS system for server, network, VoIP and telecommunication applications. Combines high reliability with low set-up costs for mission critical environments that demand future flexibility and excellent return on investment. Available in a compact tower or 19″ rack-mountable unit with modular batteries for increased power output. 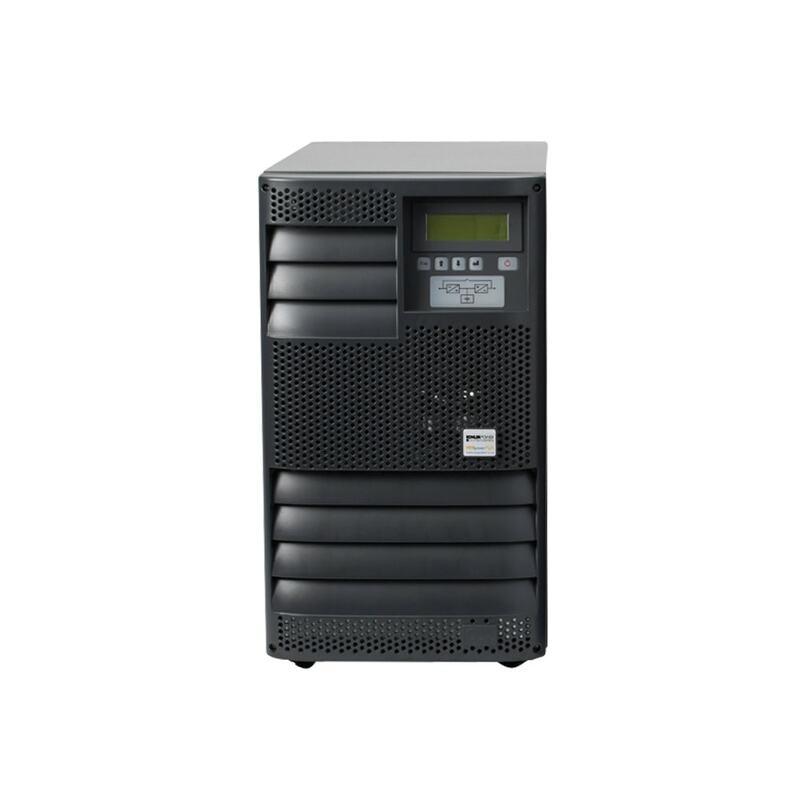 Robust uninterruptible power supply with hot swappable batteries and advanced battery discharge management. UPS replacement batteries for fast upgrades with no downtime and no interruption to the critical load. Provides 24/7 power protection for demanding IT environments. The PowerWAVE 1000 uninterruptible power supply automatically manages the end-discharge voltage of the internal batteries, preventing deep discharge during power failures. Maintenance bypass switch allows for UPS system to be isolated manually. Automatic (6–10 kVA) redundant parallel operation providing remarkable reliability with option to increase load and protection levels by connecting up to four additional units. The PowerWAVE 1000 delivers high efficiency of up to 94% (98% in eco-mode). High operating efficiency provides 1.0 input power as well as <7% input current THDi to reduce running costs. To request more details about the PowerWAVE 1000 make an enquiry using the form below or call us on 0800 731 3269. See below current pricing for the PowerWAVE 1000 UPS and accessories. To make a purchase simply select the options you are interested in, complete your details below, and submit the form. We will contact you within 24 hours to confirm stock availability and take payment. We apologise but we can only accept UK orders.